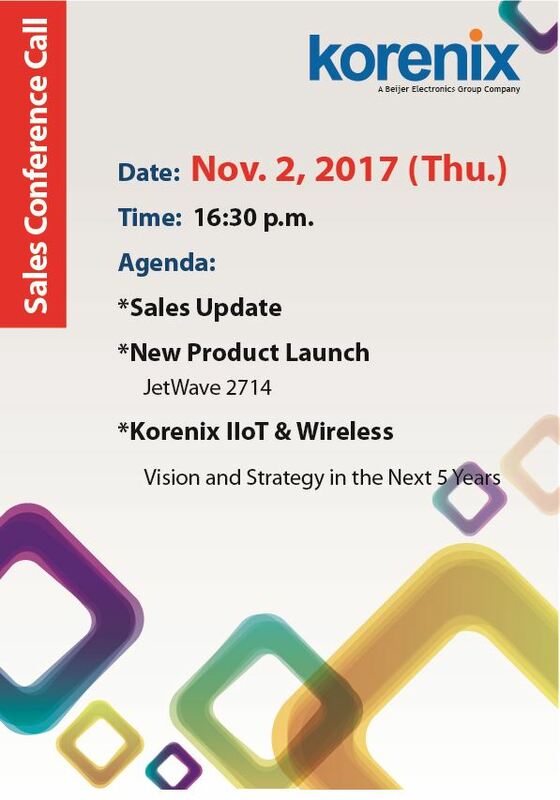 Korenix held monthly Sales Conference Call to ensure all partners and distributors get up-to-date information on Korenix latest products, technologies, and events. The November Sales Con Call is held on 2nd of November at 16:30 Taipei time. Register now to the event and work closely with Korenix professional employees.